Topics: Ian Stuart Wedding Dresses, Justin Alexander, Linea Raffaelli Bridal Wear, Wedding Shoes By Benjamin Adams, and Rainbow. 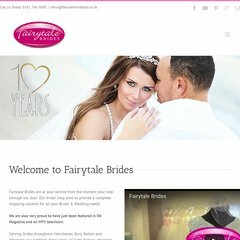 fairytalebridesltd.co... Fairytale Brides, Manchester, our company profile. There are 2 Nameservers, ns437.websitewelcome.com, and ns438.websitewelcome.com. Fairytalebridesltd.co.uk's IP address is 74.53.205.104. PING (74.53.205.104) 56(84) bytes of data. Pinging the server, resulted in a 39.4 ms response.